3. Design in line with industry norms, good feel, easy to grasp, Steady body. 4. Clear and bright screen, large font display, intuitive chromaticity diagram, color difference bias figure shows color simulation. 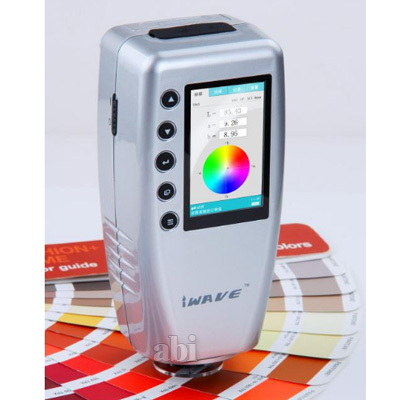 The colorimeter is applicable in textile, printing and dyeing, clothing, footwear, leather, chemicals, plastics, plastics, pigments, paints, inks, printing, metal, photography, toys, and other industry color quality control, color control, color analysis, sample testing, production line testing, also suitable for injection molding, ink, paint, spray and other auxiliary color.